Hemp Fabric - Is It Better Than Cotton? | Canvas ETC . Hemp has been used for thousands of years in the production of notably durable textiles. 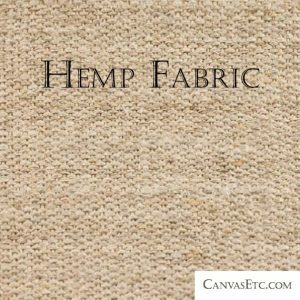 Hemp has been harvested highly efficiently to generate significantly massive yields and quantities, even more so than cotton which produces canvas fabric. Interestingly enough in fact, the word “canvas” is derived from the word “cannabis.” Hemp fibers were woven into hemp fabric, and were used to make the sails of the ships that came by the multitude to the new colonies and elsewhere (Christopher Columbus’ fleet of ships utilized hemp fabric in their sails). Hemp fabric was also highly utilized as wagon covers that protected the brave individuals that migrated to the Western U.S. (and before it was even the United States) from the wind, the rain, the sun and the cold. They would also use hemp fibers for horse bedding. Even the apparel pioneer – Levi Strauss – who eventually used cotton for his denim blue jeans and overalls/ work wear that he sold to the gold miners initially used hemp fabric. It should be noted then, that hemp fabric was a foundational component for the settling and development of the new world. Today (and perhaps most unfortunately), hemp utility as a textile has fallen due to the prohibition of cannabis-made industrial hemp, and just as illegal as marijuana production (the plant by which hemp is derived and originates). As Hemp fabric is made from the fibers in the herbaceous plant of the species cannabis sativa, legislation had prohibited its cultivation. It is a high-yield crop that produces significantly more fiber per acre than either cotton or flax, and the hemp fiber is one of the most valuable parts of the hemp plant. The fibrous part of the plant that gives the actual plant its upwards stability and strength is called “bast,” or “bast fiber.” So even though the plant’s bast is simply fiber, it is disallowed from being harvested. In the process of this broad and sweeping prohibition, the hemp textile industry was nullified and all but wiped out. As the world-wide population in 2019 is 7.2 billion, and projected to increase by 1 billion over the next 12 years (reaching 9.6 billion by 2050), undoubtedly the worldwide demand for textiles will also exponentially increase. It’s time for an alternative textile that is sustainable and more efficient to generate. Hemp fabric is a fabric for the future, and should be allowed to rival cotton – the world’s primary fabric. The time for hemp to reclaim its place as king of textiles is today. The economic, environmentally sound, eco-friendly, sustainable and significant advantages it offers as a textile crop warrant the need to allow for more widespread crop development and harvesting. Here is why. In today’s modern age, consumers are acutely aware of minimizing their carbon footprint and ecological impact. The processes of producing products can more often than not have devastating environmental and human impact. We have become more mindful and interested in the how products purchased are created. Fabric material (and the end products generated by them) is one such product type that can positively or negatively impact an environment. Cotton – while requiring 16% of the entire world’s pesticides – only accounts for <2.5% of worldwide cropland. That’s a lot of chemicals and pollutants! Ecosystems are severely and critically impacted by these unsafe chemicals, causing run-offs into farm lands and which damages drinkable water and animal/ livestock health. It should be noted that hemp roots grow 3 feet down, and thus act to contradict the damages of water run-off, acting like a forest for the land and enriching the soil at the same time. The negative and dangerous impact on humankind is also very real, as the excessive use of chemicals is hazardous to the health of those communities that surround these areas of cotton pesticide applications. By stark comparison, however, Hemp fiber cultivation can use pesticides as cotton production, but the advantages to hemp over cotton is that it requires only 1/2 the territory (the land) as cotton to produce a ton of finished textile. The amount of land needed for obtaining equal yields of fiber place hemp at an advantage over other fibers. Obviously, organic cultivation would diminish the pesticides applications significantly if not completely, and thus the energy to do so. Hemp farming can produce better yield with less land, which is certainly an advantage and more of an environmentally aware option due to its much smaller overall ecological footprint than cotton production. One staggering fact worth noting is that it can take 5,000 gallons of water to produce a mere 2 pounds of cotton. That’s about the necessary amount of cotton to create 1 single pair of jeans! 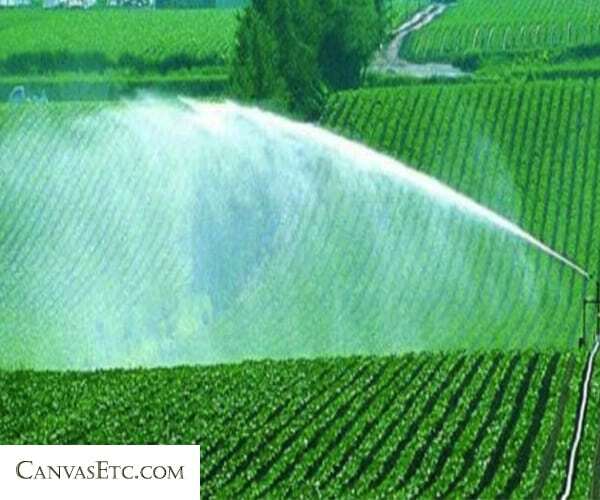 Cotton remains one of the most heavily irrigated crops, and which ultimately does not serve the already limited viability of sources of freshwater. To contrast this overwhelming water requirement for irrigating cotton, hemp requires about 80-130 gallons of water to produce 2 lbs. of dry hemp matter. 30% of this dry matter is viable for hemp fiber production. An extremely fast growing crop, Hemp also produces a far greater fiber yield per acre than any other source; 250% more fiber than cotton and 600% more fiber than flax – and on the same space of land! Hemp fabric provides incredible warmth yet surprising softness. Depending on the process of cultivation, hemp may naturally be grey, brown, green, black or an off-white. As a natural textile, it possesses a superior durability rarely found in other materials. 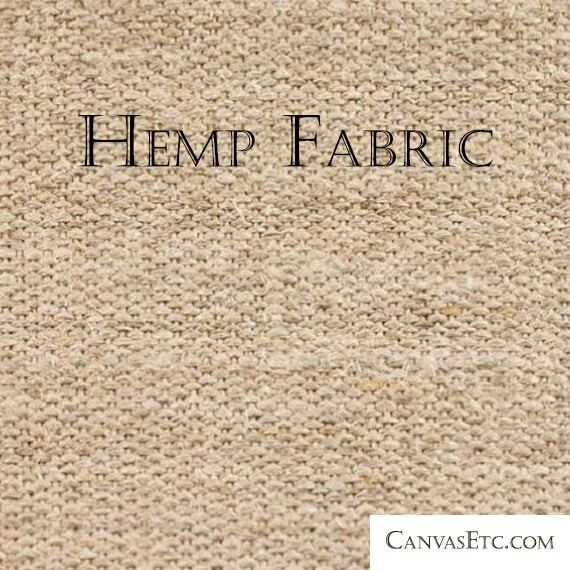 Shoes, home furnishings, bags, accessories, and apparel are but a few of the many applications for using hemp fabric. In particular, apparel made form hemp is anti-microbial/ anti-bacterial and resistant to mold, so there is a great health benefit from incorporating hemp fabric into everyday uses. Additionally, as hemp fabric is so strong and durable, it holds its shape and form very well and does not stretch as much as other natural fibers. Garments made from hemp fabric resist stretching that would otherwise distort other material. Interestingly enough, however, similar to denim, the more hemp is worn and used, the softer it actually becomes. Naturally resistant to ultraviolet light, it retains its color steadfastness remarkably. 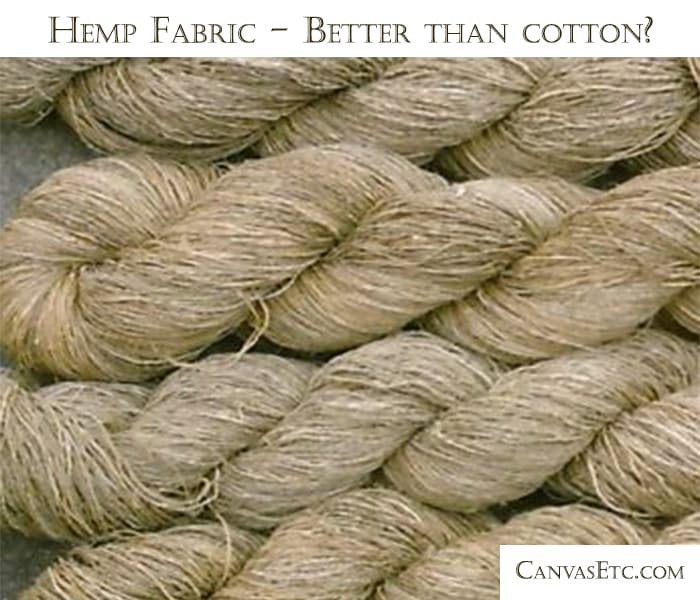 Hemp holds its strength even when wet, which makes it a durable textile for commercial and industrial applications. The fishing industry is one such category that would utilize this commercial use, as the wet hemp fibers used in ropes and cables would remain functional and viable. The added bonus of it being anti-microbial and mildew resistant has definite advantages in this industry as well. As detailed, if hemp is a super fiber, better alternative and environmentally friendly solution to other materials, what happened to hemp textiles? It seems that until new legislation allows for the re-emergence of hemp fabric as a consumer staple textile, then cotton fabric will remain as the premier option.